Here, you'll be able to find a range of special preservation boxes that are made from archival and acid-free materials to ensure your items are kept free from decay and damage over the years. They are especially useful for storing your bridal gown, which is likely to be the most precious thing you ever buy. With the wedding dress box, you receive 30 sheets of acid-free tissue paper and museum-archive sheets that help to keep your bridal gown in good condition. 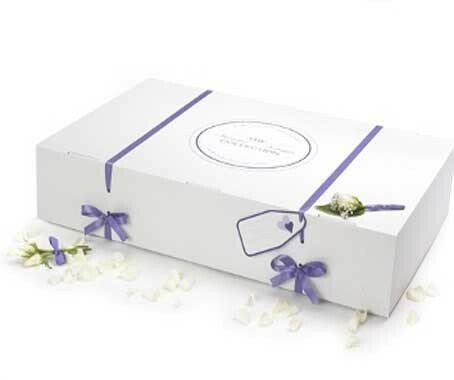 You also get an accessories box, which is ideal for storing your wedding shoes, cards, certificates, invitations or anything you hand made for your Big Day. Those who are tying the knot abroad will find The Special Box Company's wedding dress travel box useful, as this helps you store your gown on the way to and from your destination. As they fit most airlines' hand luggage sizes, you can also have your dress nearby at all times during the flight. To find out more about storing your wedding dress, get in touch today. Provide your details below and The Special Box Company will be in touch soon.